You may have noticed that Paso Robles has gotten quite a lot of press lately for its 11 new sub-AVAs being approved after ten tough years of wrangling. During that time, the number of wineries has grown to over 300, which means that visiting Paso Robles these days requires a plan. So, here’s a strategy. Carve the place up into small bites. The East side tastes pretty darn good, and it’s where the action all started anyway, with J. Lohr (celebrating its 40th anniversary this year with a dynamite Pinot Blanc and GSM) and Eberle (still some of the coolest caves ever). 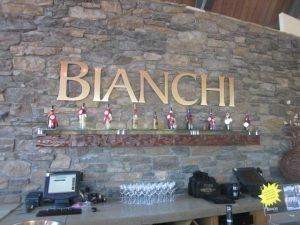 Let me suggest a fun day trip excursion to Bianchi, a lovely and tranquil escape easily accessible from a downtown Paso Robles base of operations. If you’re planning on staying in downtown, go for the Paso Robles Inn, that veritable old standby that has served people for over 150 years. Melody Ranch is another option, although Hotel Cheval is the proper choice for those who want accommodations with high style. The best way to start a day of winetasting is with breakfast. You should do that at Panolivo, a veritable temptation of French delight. Dive into a huge steaming bowl of cappuccino and sink your fork into brioche French or a buttery omelette. They really know how to do Croque Madame, too, served with sunny side up eggs. 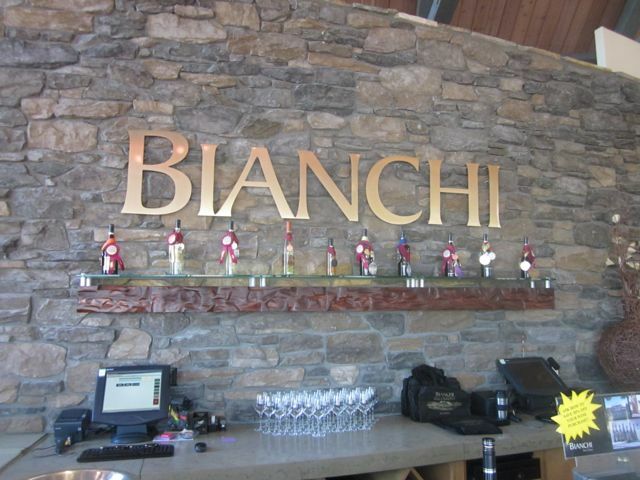 Then saddle up for some winetasting, and it’s on to Bianchi, just off Highway 46 East to Branch Road. At this magnificent edifice with its plentiful outdoor seating options, you can relax and picnic to the sound of the water feature that dances in the middle of their stunning lake. Everything here is executed on a grand scale, from the sweeping vineyardscape to the broad swath of mountain views on the western horizon. The tasting room itself is an architectural masterpiece, with spectacular ceilings, windows, decking, a massive wrap around tasting bar and contemporary lighting, along with copious use of wood, stone and metal. A gigantic fireplace warms the tasting room in the cooler seasons and is cooled by breezes off the spectacular lake during the summer months. Ah, but it’s outdoors you want to be, by that gorgeous, beckoning lake. You will likely see kids of all ages playing with the electronically controlled toy sail boats that are available for your amusement. Or, you can entertain yourself by feeding the truly gigantic carp – feed is provided! They are so large, they will scare the average city dweller who has never seen a live fish up close and personal, begging to be fed! 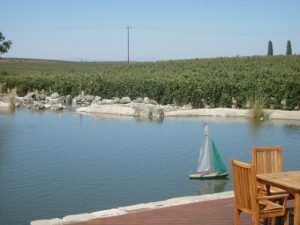 Let’s not forget the wines, which are made from the 40 acre estate vineyard in Paso and select vineyard throughout the Central Valley. Bianchi also sources fruit from Monterey and Santa Barbara counties. With all manner of fruit at his disposal, winemaker Tom Lane turns out a good selection of crisply flavorful whites, including Chardonnay, Sauvignon Blanc, Pinot Grigio and Moscato. And then, there are the reds, including The Heritage Collection, which boasts well-balanced exections of Cabernet Sauvignon, Merlot, Syrah and Zinfandel. 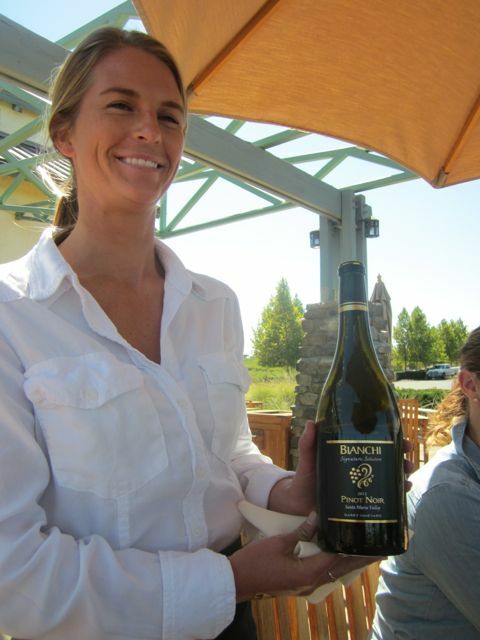 The Bianchi Signature Collection comes from an array of renowned vineyards throughout California’s Central Coast. One of the most enjoyable is the 2012 Pinot Noir from Santa Maria, redolent with red berries, cinnamon and earth, and brimming with lovely vanilla from really fine French oak. 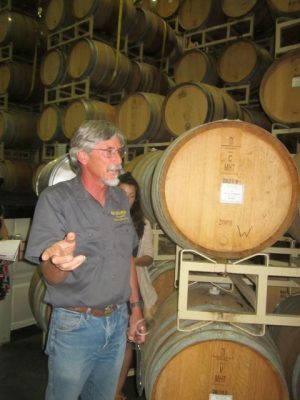 The East side of Paso is not known for its whites, but Lane is no stranger to them, having cut his teeth at Navarro, in the Anderson Valley, in the early part of his career which goes back over three decades in the wine industry. The taut, sleek Sauvignon Blanc really shows his touch, but he enjoys fleshing out the Chardonnay with a bit more oak. 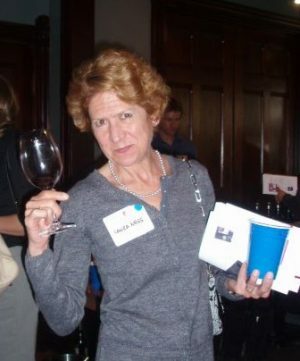 Lane is also a well-respected master of Petite Sirah, having put Concannon and their signature varietal squarely on the map during his ten-year tenure in Livermore before embarking to Paso Robles. His Paso Robles version of Petite exhibits his tendency to balance the blue-black fruit with acid, preserving that natural old world tension. He’s been at Bianchi for nine years now, embracing the Paso lifestyle, and making some awesome treats, like late harvest Sauvignon Blanc. The 2011 is a glass of grassy, grapefruity awesomeness. 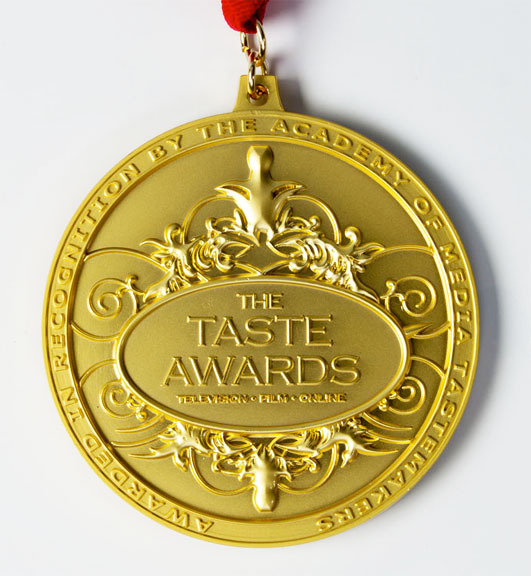 Take a bottle home to accompany a special dessert, perhaps a Meyer lemon cheesecake or pear tart. While in the tasting room, be sure to peruse the many unique and seasonal gift items, wine accessories, books and apparel. Bianchi has a special basket of local bounty for holiday gift giving called “Taste of the Central Coast.” This gift box is comprised of carefully curated elements designed to highlight the bounty of the Central Coast, including a bottle of 2011 Bianchi Estate Zinfandel, a jar of Salted & Roasted Pistachio Butter from Cayucos, a jar of La Bella Olives from Oceano, a jar of TheraBee Honey from Atascadero and a jar of Cahoots Catering House Rub from Paso Robles. 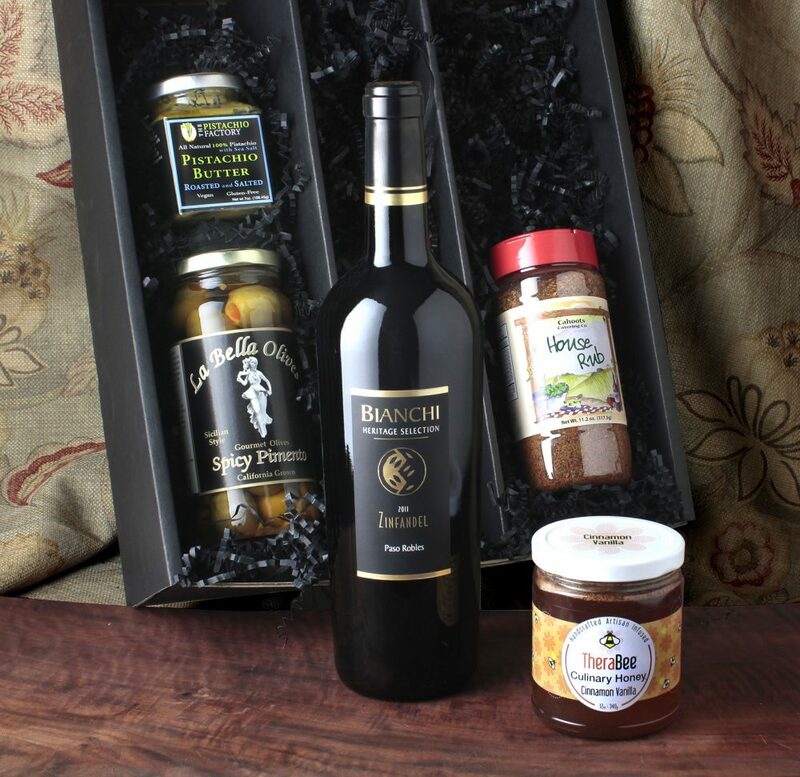 This gift box is the next best thing to being there in Paso! The “Taste of the Central Coast” box ($69.95 per box), is available for purchase at www.bianchiwine.com. 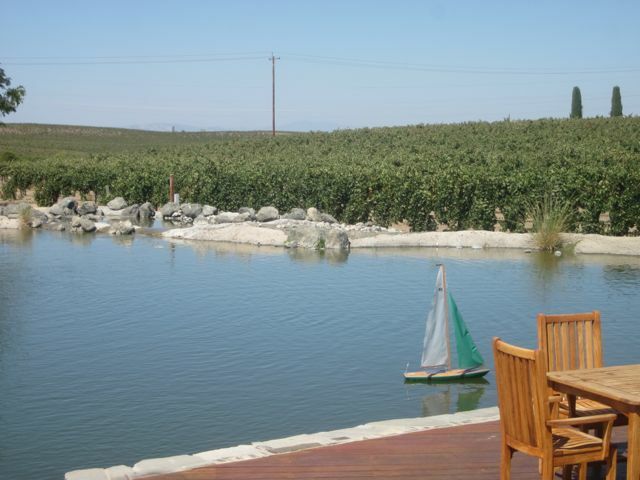 When you visit Bianchi, pack your own picnic or choose from their fine selection of imported gourmet foods, grab a bottle of estate Zin and enjoy your luxuriously lazy lakeside escape. 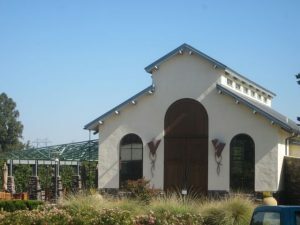 For more information about Bianchi Winery and Tasting Room, go to www.bianchiwine.com.